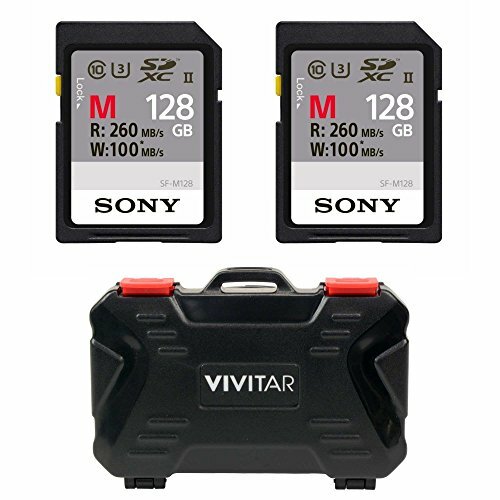 Designed especially with high speed data transferring and 4K video recording in mind, the Sony UHS-II Memory Card is a must have for your digital camera, tablet or laptop. Capture stunning 4K video and photos in high-speed burst mode with the speed of SD Class 10, UHS Class 3 performance. This ultra fast SDHC memory card delivers enhanced data transfer rates of up to a whopping 260 MB/s so transferring large files is less time consuming. Get the most out of your photo and video creativity and streamline your workflow with the UHS-II Memory Card from Sony. Save precious time when you're working with media files thanks to the blazing fast transfer performance of up to 260 MB/s (read) and 100 MB/s (write). Equipped with SD Class 10, UHS Speed Class 3 (U3), this high speed memory card is perfect for 4K loop recording with digital cameras like the Sony Action Cam. At some point or another, we've all accidentally damaged or deleted photos or video files. Available as a free download, the powerful yet simple to use File Rescue tool can help you recover lost data.